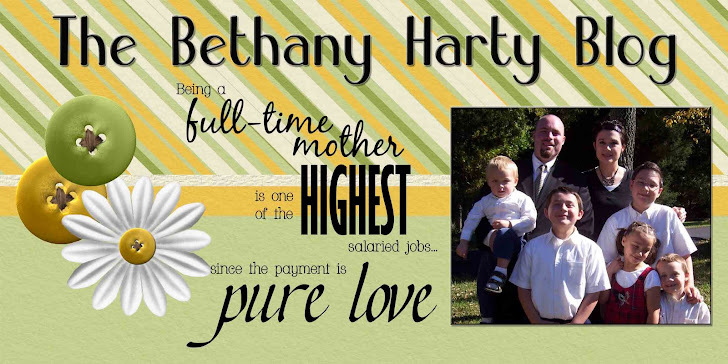 The Bethany Harty Blog: Kids! Tonight is our Cub Scout Pack meeting, and our theme is "Cub Cafe". We've been learing about food, and cooking, and buying stuff, and ordering at a restraunt, and making change. Lots of fun stuff. We even planted radishes in our own pots. Pretty neat (except Tom accidentaly watered ours with bleach - plants don't like that ), eh? As Joe and I were in the kitchen cooking this afternoon, Joe was trying to tell me that when there was a mistake made with the Crab Rangoon, that he'd eat the mess ups for me. Actually, that was my idea, but he was making sure that I still knew the plan. I told him that I was done making them, and that there were no more mess ups. He didn't quite understand this. "Just settle down, Mom. I'll eat the broken ones". "OK Joe, you eat the broken ones"
I'm planning on a post, later today, with recipes AND pictures! Won't that be neat?